Non-gatefold sleeve. B&C Records logo and credit on front and rear. ‘Made in England’ on rear sleeve. No printer’s credit. B&C Records credit on label. Note this was reissued again as CREST002. 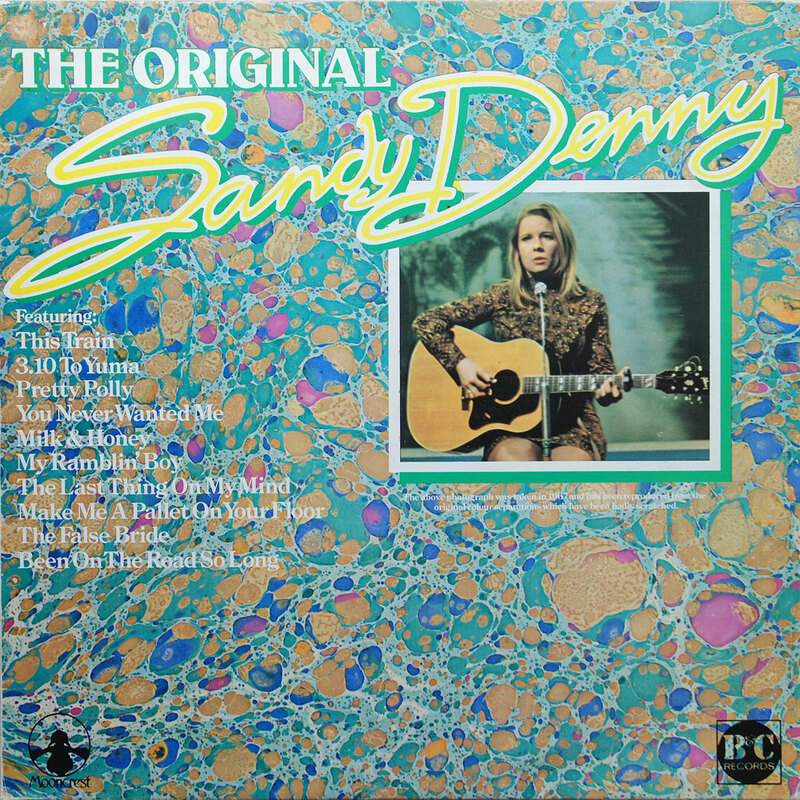 This was just one of the covers given to the Sandy Denny reissue. I’m not quite sure which came first (probably this one because it says B&C on it) but there are at least 3 different covers for the same record. The earlier issues of these recordings were spread over about 4 different records. 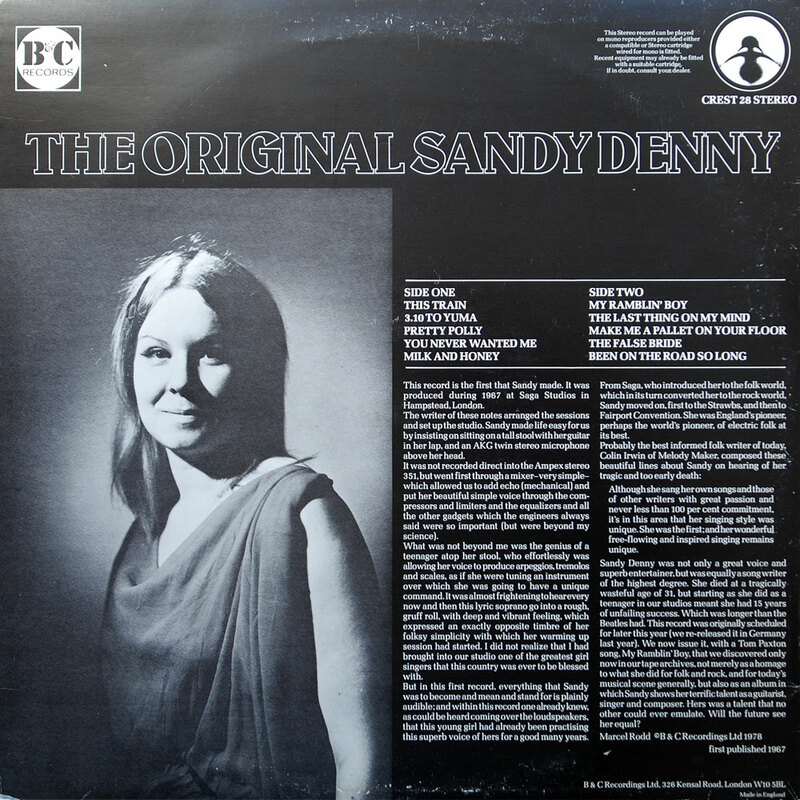 The Sandy Denny LP on Saga, The Sandy & Johnny LP on Saga and the Alex Campbell & Friends LP. Johnny Silvo had his own Solo LP which involved the opposite of Sandy’s ie. 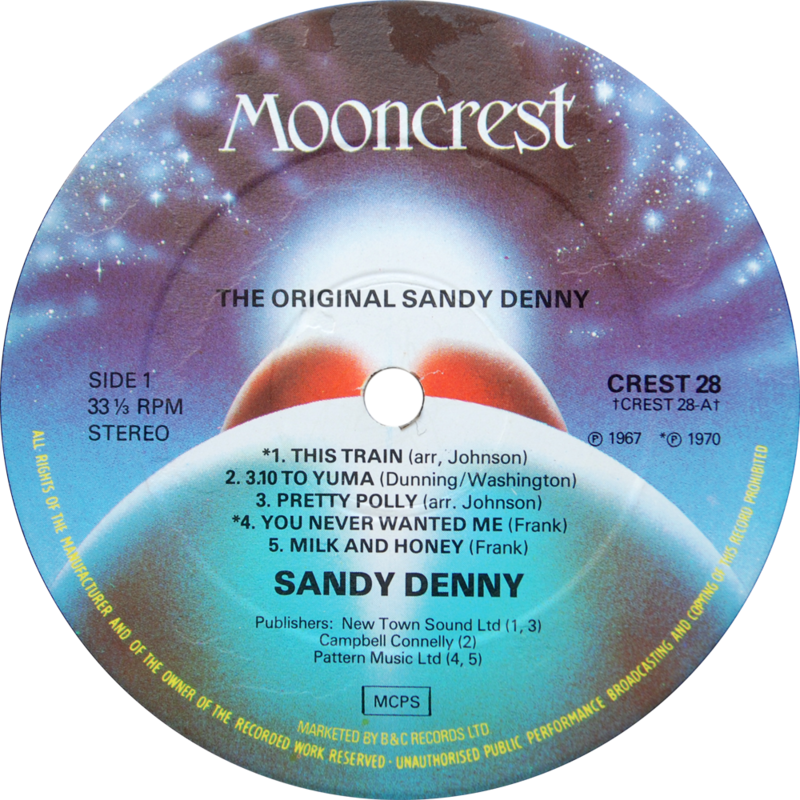 tracks he played on from the same sessions that weren’t on the Sandy Denny LP. There was also a Mooncrest single which came off this LP; “Make me a pallet on your floor”.